The Eco unit has been the most popular of our thermodynamic solar options over the last number of years. 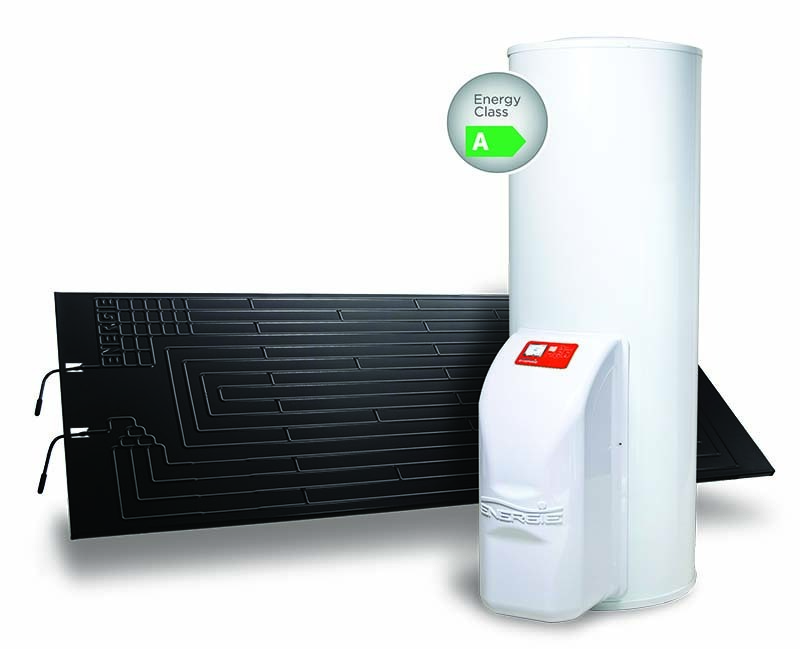 Designed to provide the family with 100% of its hot water, the Eco unit comes complete as a unit to replace the existing cylinder that is normally housed in the hot-press. The cylinders come in a variety of sizes, 250 Litre, 300 Litre and 500 Litre options. The most popular model that we sell is the 300 Litre one panel version, suitable for a family of 6 people living full-time in the house. This does of course assume normal water use, and a larger system may want to be considered for a family who may use large bath tubs or numerous power showers on a very regular basis. When a cylinder is sized in a domestic residence, we make a very basic assumption of allowing 50 Litres per person per day in the home. While we don’t size cylinders below 250 Litres in this range, we always allow the extra capacity even in homes containing 2-3 full time residents. As you can see from the image contained in this piece, the Eco unit contains a small belly on the front. This is your compressor unit that works in combination with your solar panel, normally located on the roof. In order to fit the Eco unit in your hot-press, you should have a minimum of 900mm x 650mm depth and width available in the press (once the existing cylinder is removed). If you do not have this space available, the Eco Top unit or Solar Box unit may suit your needs better.